Full Entry List and Spectator Info for Saturday's (23rd June) 'Dunoon Presents Argyll Stages Rally' now in the on-line mag. Also a list of event Programme stockists and where they are located in and around Dunoon and the Argyll peninsula. 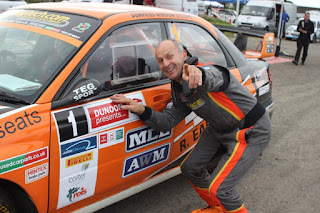 The rally will get underway from Dunoon Pier Car Park at 09.00 Hrs on Saturday morning and the first car home is expected back at Dunoon Stadium around 17.00 Hrs.